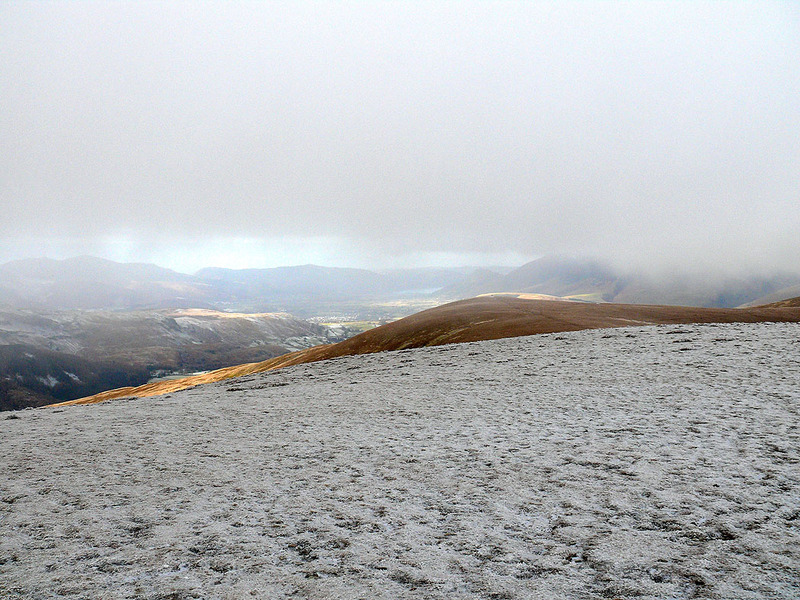 A bitterly cold day for this walk across the Dodds and most of the time spent on the tops was in low cloud. 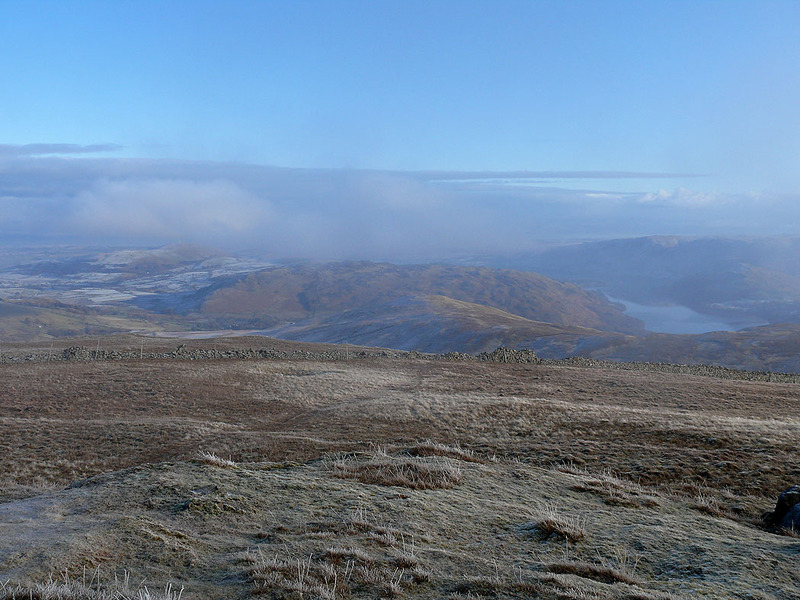 From the car park at High Row I followed the road to its end at Dowthwaitehead where I walked through the farmyard to take the path that heads over into Glencoyne. 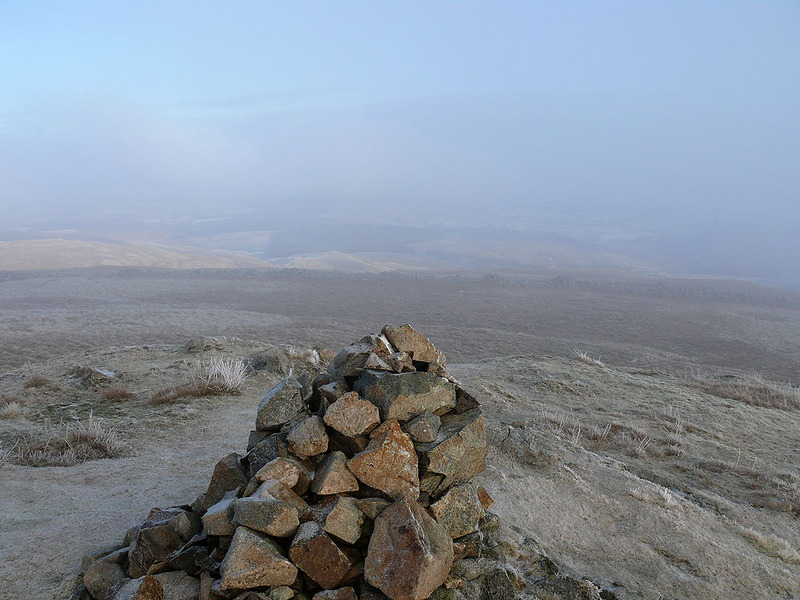 I left the path to make my way upto the cairn on Birkett Fell. 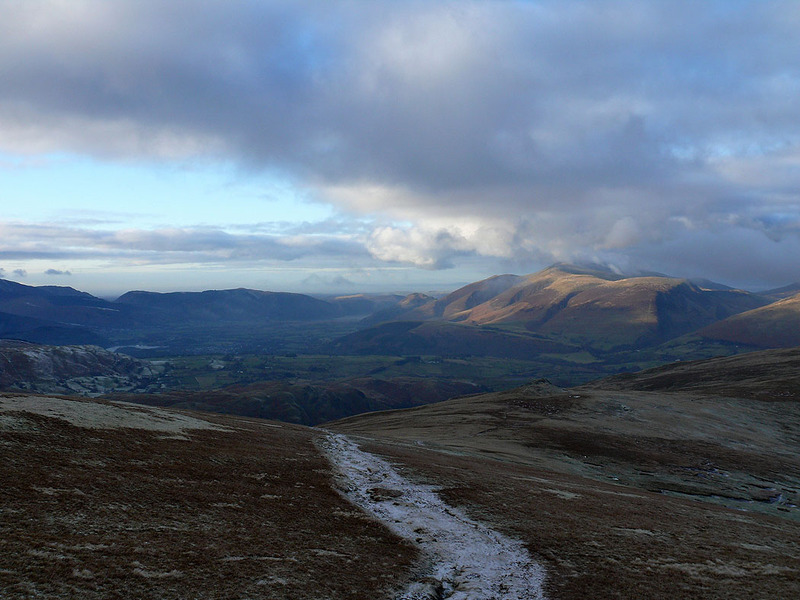 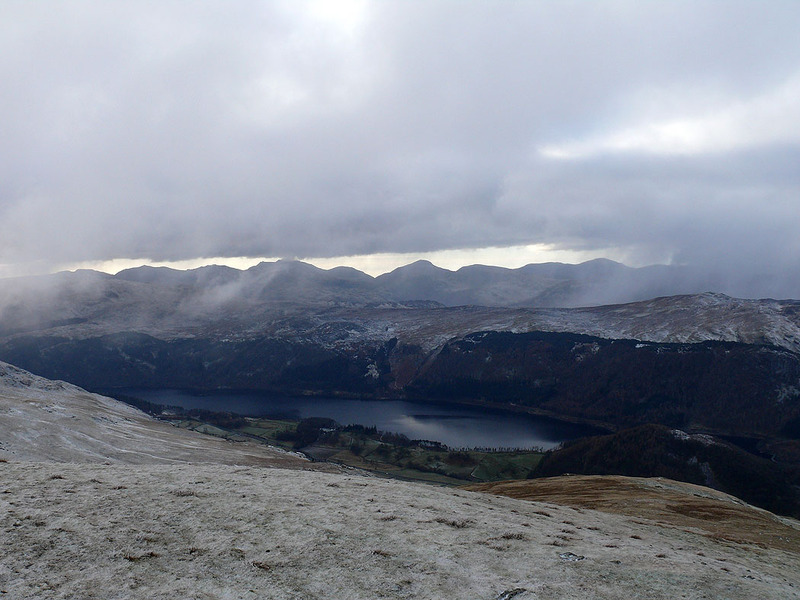 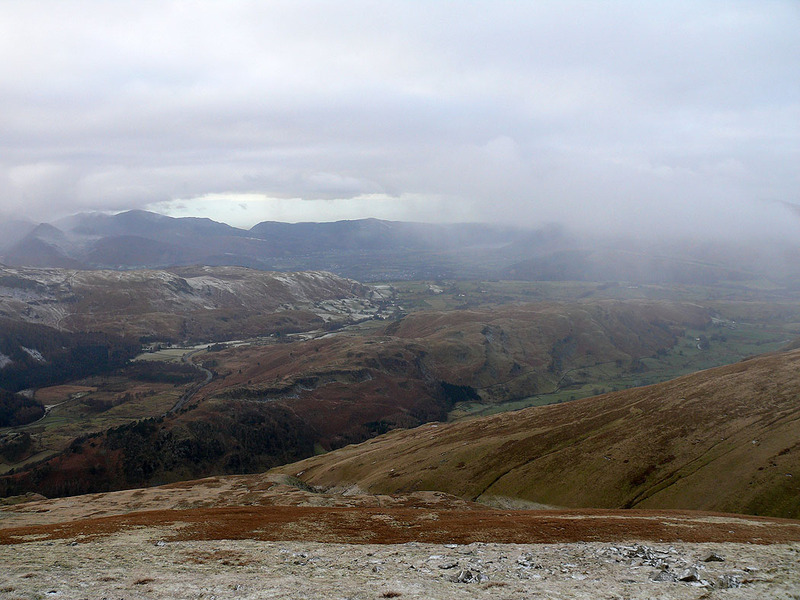 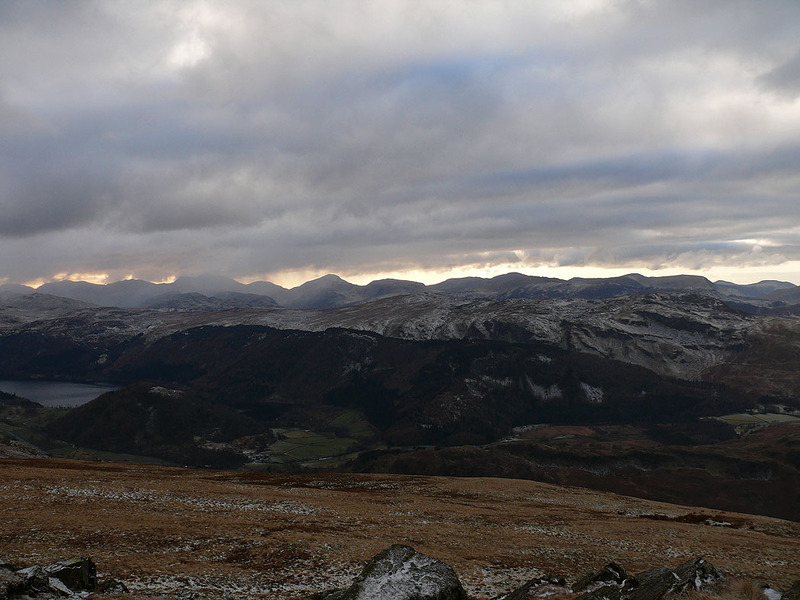 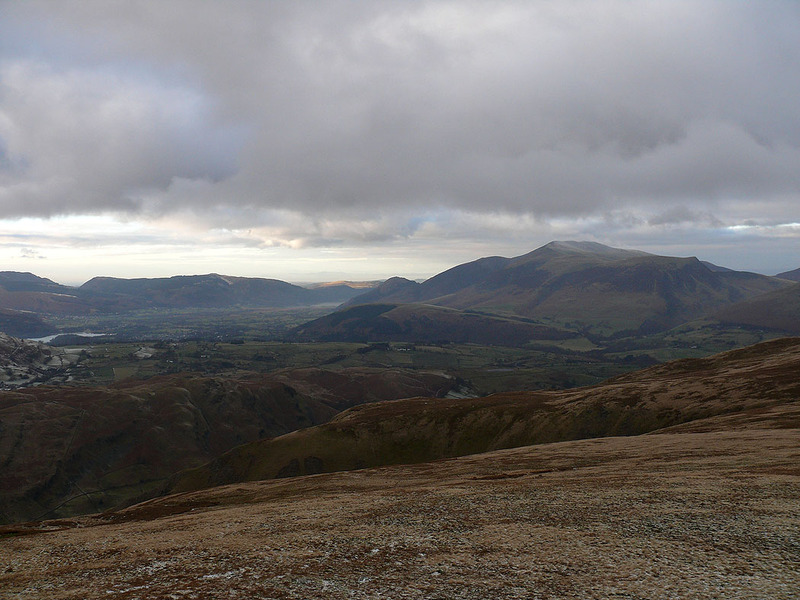 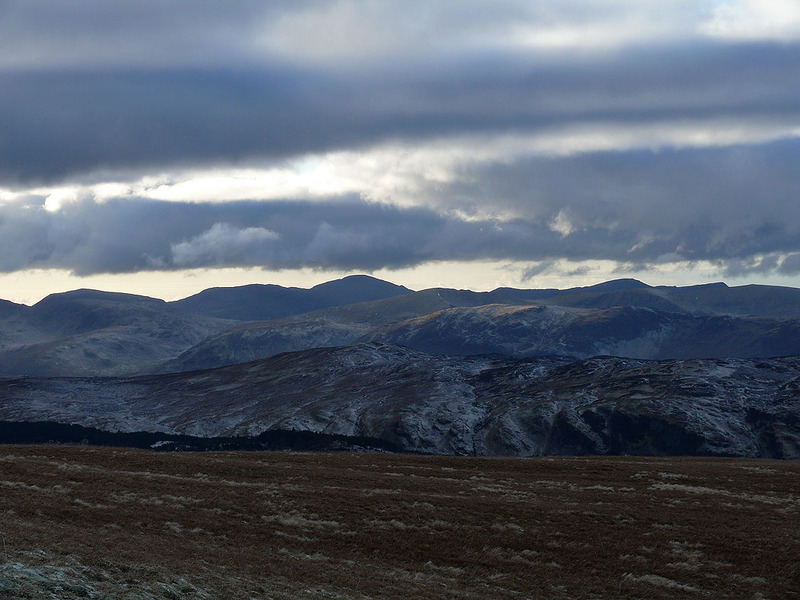 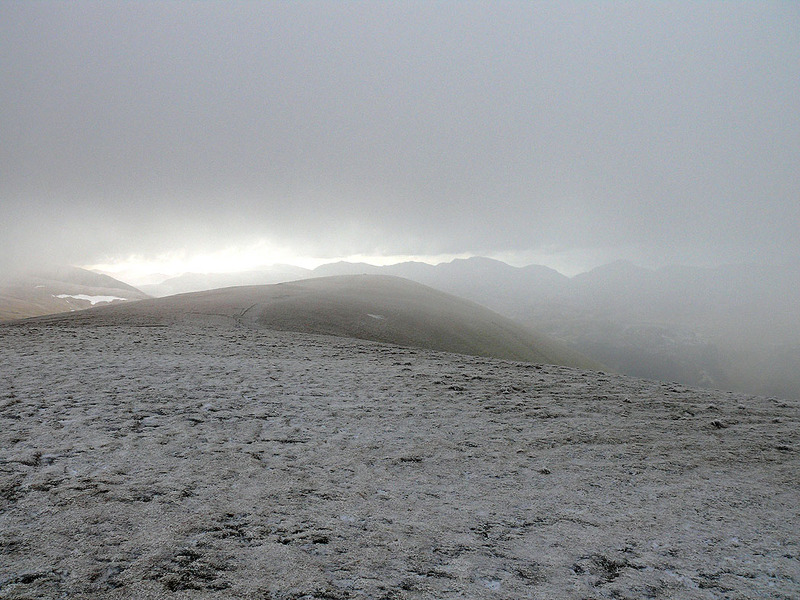 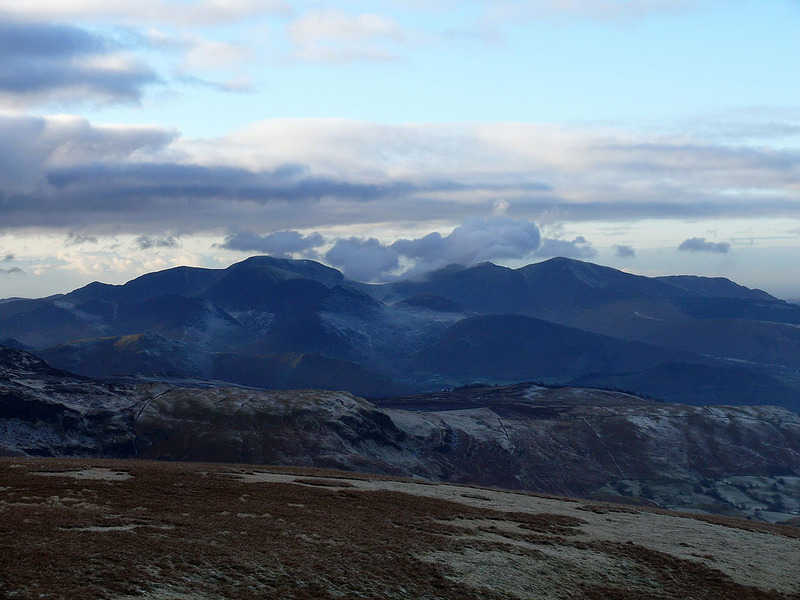 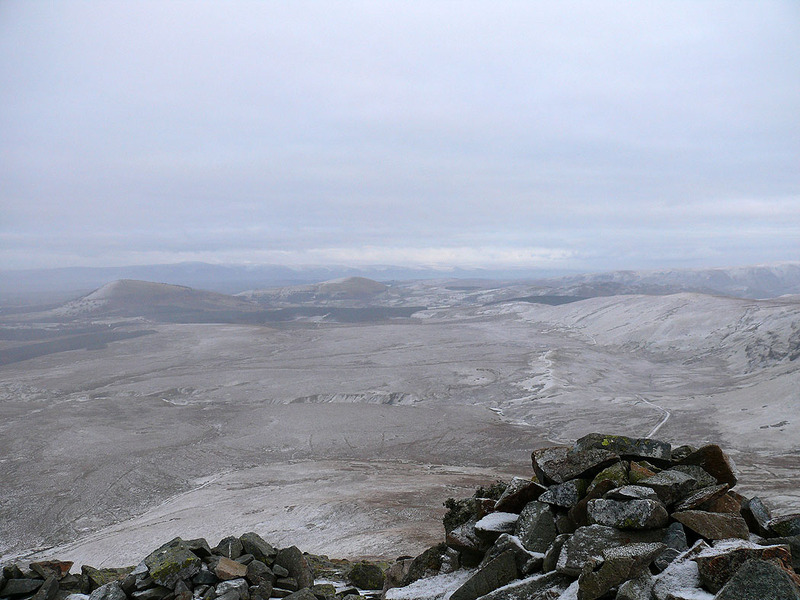 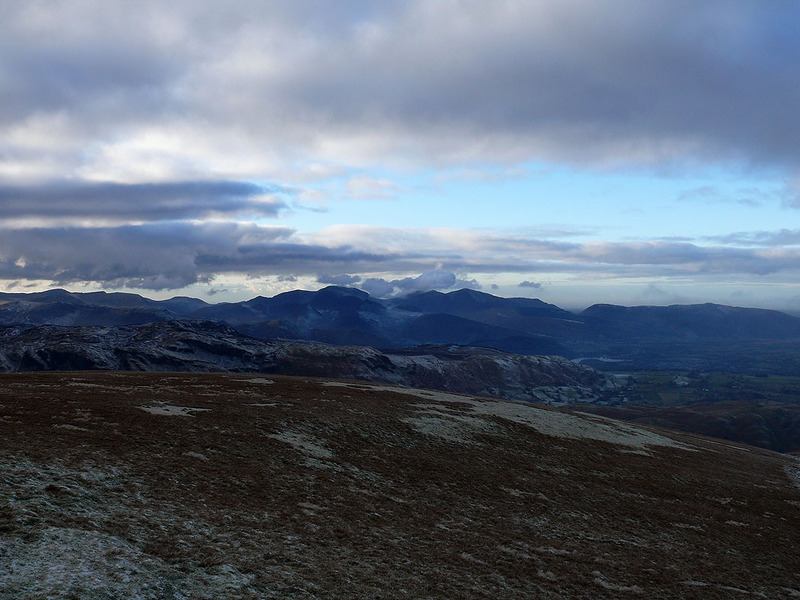 I then walked across the tops of Hart Side and Green Side to reach the summit of Stybarrow Dodd. 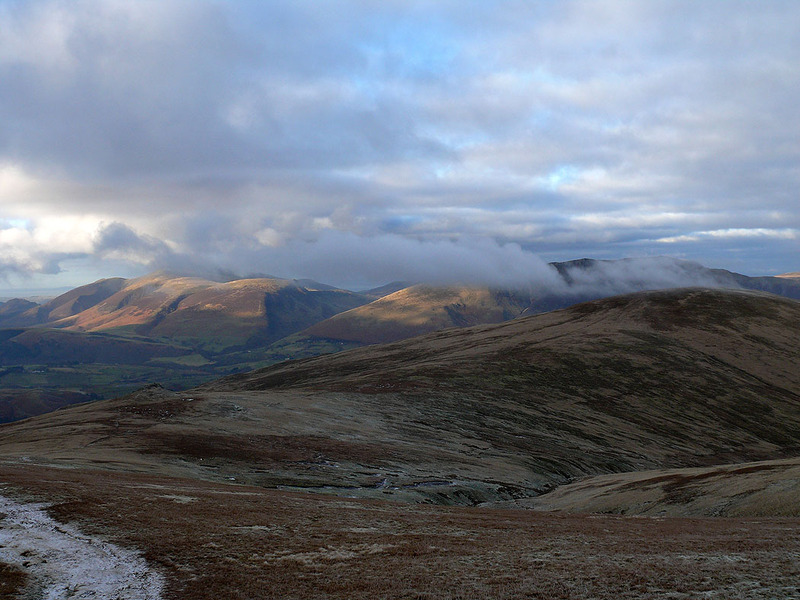 From Stybarrow Dodd I then visited the summits of Watson's Dodd, Great Dodd, Calfhow Pike and Clough Head before I descended to the Old Coach Road whcih I followed back to the start. 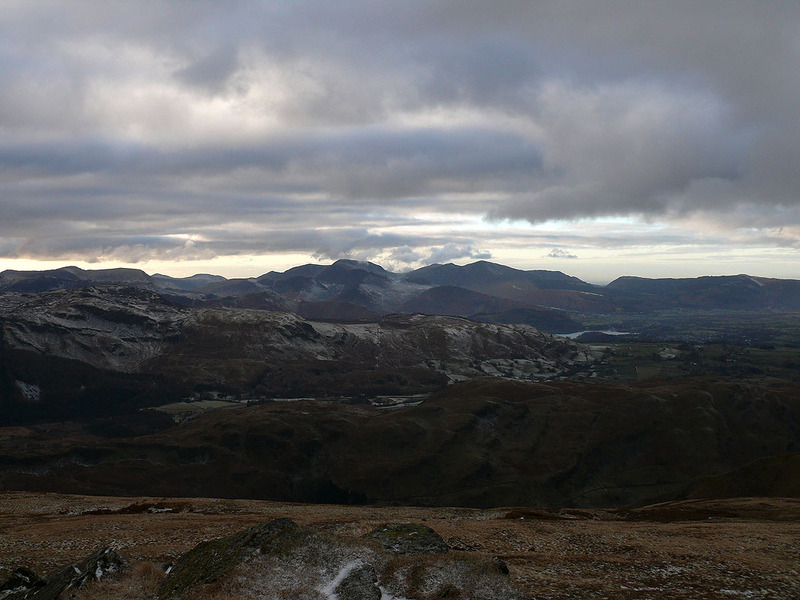 The cloud came down again on the way up Clough Head, so the final shot of the day is from White Pike before I make my way down to the Old Coach Road. 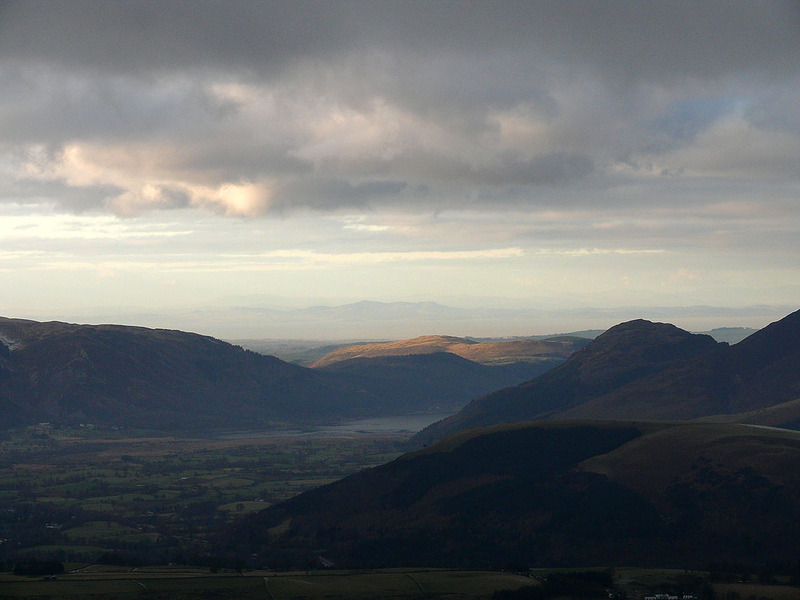 The view east across to the Mell Fells.